Lok Sabha elections 2019: City would have a huge temple inspired by Cambodia's sprawling Angkor Wat, junior Yadav said. 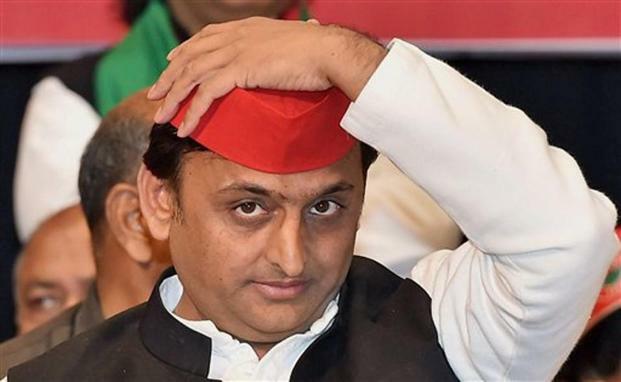 After UP Deputy Chief Minister Keshav Prasad Maurya last week raked the Ram temple issue, Samajwadi Party chief and former CM of the state Akhilesh Yadav on Wednesday announced that a grand city named after Lord Vishnu would be developed in the state if his party comes to power. City would have a huge temple inspired by Cambodia's sprawling Angkor Wat, junior Yadav said. "We will develop a city in the name of Lord Vishnu over 2,000 acres of land near Lion Safari (Etawah). We have a lot of land in Chambal ravines and the city will have a grand Vishnu temple, that will be a copy of famous Angkor Wat temple," Yadav said, reported news agency PTI. To plan the city, a team of experts will be sent to Cambodia, Yadav said. It seems that the move is made keeping in mind the upcoming Lok Sabha elections 2019. UP Dy CM last week raked the Ram temple issue. He suggested there could be a legislative route for the construction of a temple in Ayodhya. Yadav also attacked the BJP and said it did nothing on the ground. "BJP believes in conspiracies. We believe in development. They befool people to get their vote. We bank on our development work for votes. The people of the state are fed up with BJP and are looking for a chance to ensure it gets out of the power. In 2019, BJP will get defeated due to its anti-people politics," he claimed, news agency further reported. In Cambodia, Angkor Wat is one of the largest religious monuments in the world. It was originally a Hindu temple dedicated to the Lord Vishnu. However, gradually it transformed into a temple for Lord Buddha.